In its irreducible complexity the body is a shifting thing and at the same time it is the primary site of cultural control through the systems of science, medicine, justice and the impossible scrutiny of the media image and the self. Yet somehow before each the body recedes, soft, slippery, eluding definition and control. Henri Bergson wrote that “the living thing is above all a thoroughfare and… the essence of life is in the movement by which life is transmitted”. Science and medicine in its urge to know has ignored this insight dissembling and reducing the body to static parts while the living body, proliferative, productive, remembering and constantly in transformation slips around these forms of knowing. 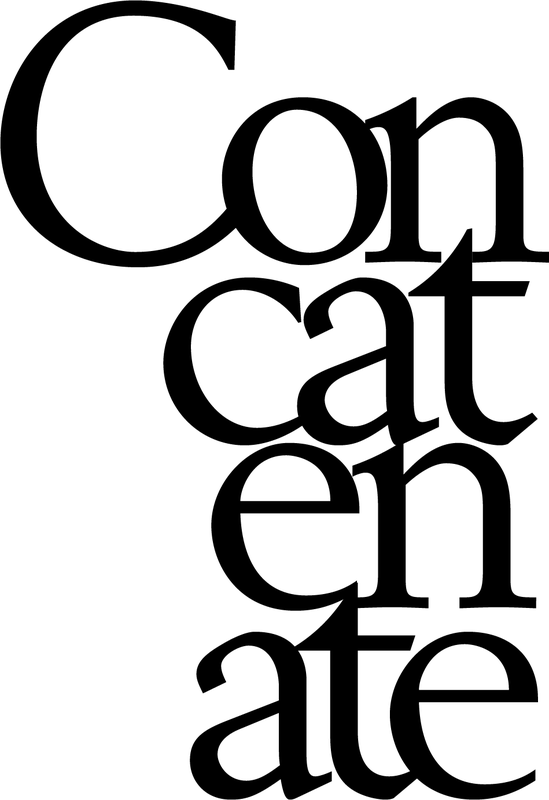 The contradiction between the absolute specificity of each body and its non absoluteness in its essential evasiveness calls for ways of knowing that acknowledge this complexity and slipperiness. In these collaborations between scientists and artists this tension and the differing ideas of the body, between the anatomists and the jewellers view allow rich evocations of the bodies hidden spaces and experiences to emerge. Thoracic Series 1 (Catherine Truman, Ian Gibbins and Judy Morris, 2009) presents a scalpel blade on a silver chain the exact length to sit in the jugular notch of the throat, the imagined proximity of the blade next to the wearers flesh and moving blood unnerving and cleanly, dangerously beautiful. Next to this a series of wish bones, and a map of human rib bones renamed for local beaches, (Sellicks, Maslins, Silver Sands), linking human anatomies and external geographies with those maps of remembered holidays and wishes made. explores the actions of making in the Recto Verso series (2009). 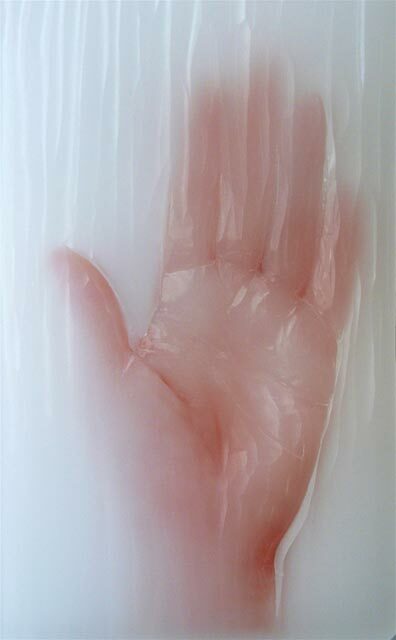 Referring to the fine motor skills in the opposition of finger and thumb she embeds anatomical images of hands in tissue wax both recalling 19th century anatomical models and lending them an uncanny life likeness with the hands seeming to float up through the wax while the finely carved surfaces are both a performance of bodily memory and a memorialising of the body in the act of making. The very fine pencil drawings of Rachel Burgess lay bare the internal structures and interstitial spaces of the body presenting idealised forms. Here they work with Vicki Clifton’s texts that reconstruct the particularity of the real body of a lover lost to suicide against the text of autopsy report. The text as a putting back together of the material body is both deeply affecting and makes evident the plurality of the body, anatomised, loved, medicalised, public and private, every body is multiple. 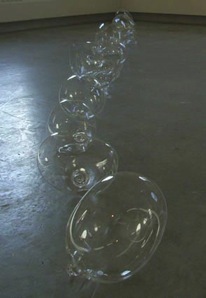 Gabriella Bisetto’s Three Minutes of Breath (2009) materialises the invisible processes of breathing with ten glass bubbles blown continuously over three minutes of breathing hanging gently from the ceiling, each breath filling out the liquid glass in unique forms. The alchemical nature of glass perfectly suited to the capture of and gently reiterating in each caught breath the transformative and fragile nature of respiration. The fragility of glass, of these three minutes of breath being the difference between life and death are made tangible in form. Janet Laurence’s work holds within it intimations and memories of these cyclic processes, of respiration and the anatomies of the nature world establishing a visceral linkage between it and humanity. 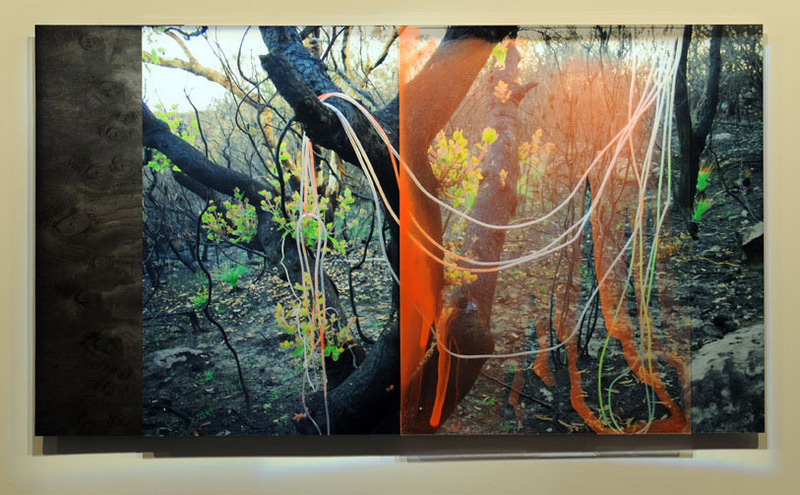 Where Heartshock (2008) at the 2008 Biennial called out an immediate empathetic response to the wounded tree, this work initially seems cooler and more constricted, holding its breath and almost in stasis. Laurence’s continuing environmental concerns are at the fore in these works from the Landscape Residue (2007-09), Verdant(2004-09), Botanical Residue (2007) and theCrimes Against the Landscape (2008-09) series but they present neither simplistic messages of doom or hopeful lies. Laurence’s visions of the natural world are as complex and elusive as the body. 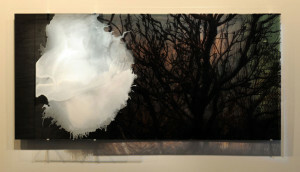 The architectural construction of each, with photographic images backed by mirrors and veiled with clear acrylic and washes of translucent pigment producing shadows, spaces and ghosts diffusing and almost dissolving the subject creating a slowed time and space and heightened attentiveness for the viewer to dwell in. This veiling is not the promise of revelation but an embodiment and reminder of the transformative flux and ephemerality of matter, reflected back to ourselves in the surfaces of the work we’re reminded that we are the same base material as the natural world, enmeshed in the web of life. 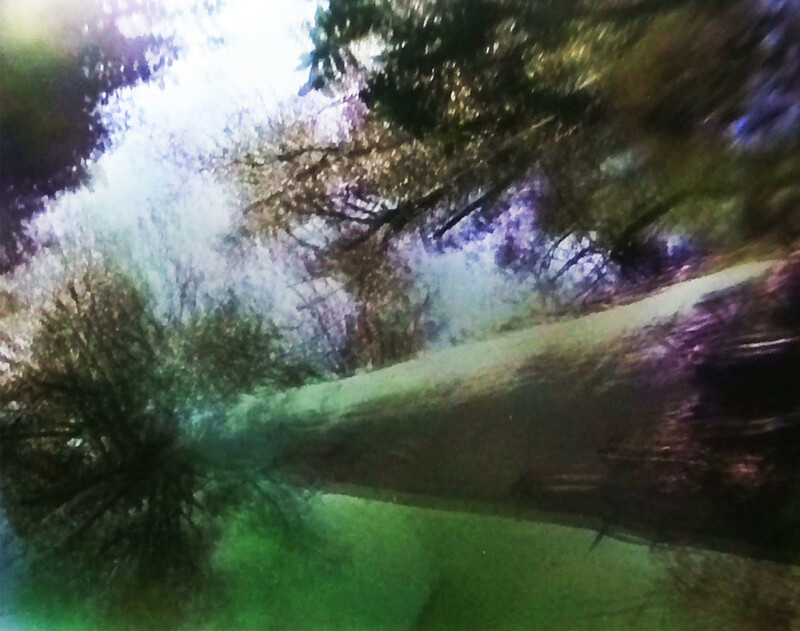 These images often seem to recede into memory appearing as artefacts of something already irretrievable, The Dark in Glass(2008-09) shows tree fern shoots in glass flasks and test tubes in a landscape blasted beyond regeneration, reflected in a glass sphere the landscape is already memory and the ferns appear as precarious survivors. In The Lie of the Lens (2008-09), a series of small prints of the same subject sealed in acrylic boxes becomes a set of small biospheres preserving such remnants. 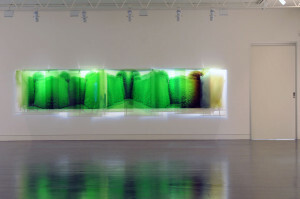 Laurences’ work is suffused with loss but is never unhopeful, Liquid Green (2004-09) is a glowing green room, oddly joyous and After Life of the Great Glass Houses (2007) in its architectural traceries that mimic leaves suggests that humanity is hard wired by nature to replicate its forms in a needful dependence while the deliberate references to intensive care in Transfusion II (2007-09) equates the trees plight with the viewers body intensely personalising this loss but offering hope in this connection. Refracted through layers of translucent colour and light these images shimmer and shift embodying the flux of nature, the molecular transformation of gases, the exchange of fluids and air, the constant change from one state to another. Never stilled, life moves in and through these spacious constructions binding human to nature, like breath the movement itself a proof of life and its possibility.